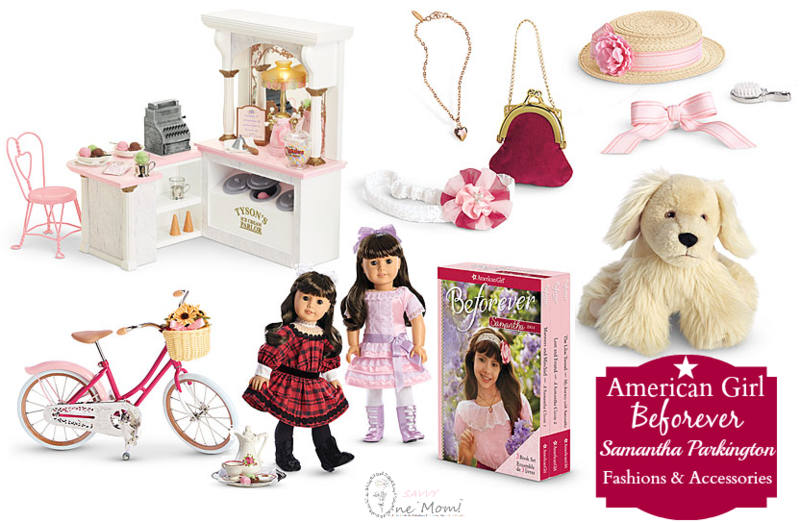 You guy's, I can't even tell you how excited I am that American Girl brought the Samantha Parkington Doll and line of accessories back with their introduction of American Girl Beforever! I will never forget pouring over the pages of the classic story collection for Samantha years ago as a child [back when American Girl was Pleasant Company]. Receiving my Samantha doll on Christmas, is one of my most beloved childhood holiday memories. Having the ability to share this special doll and her story-line with my daughter, is definitely one of those full circle experiences for me as a mother. 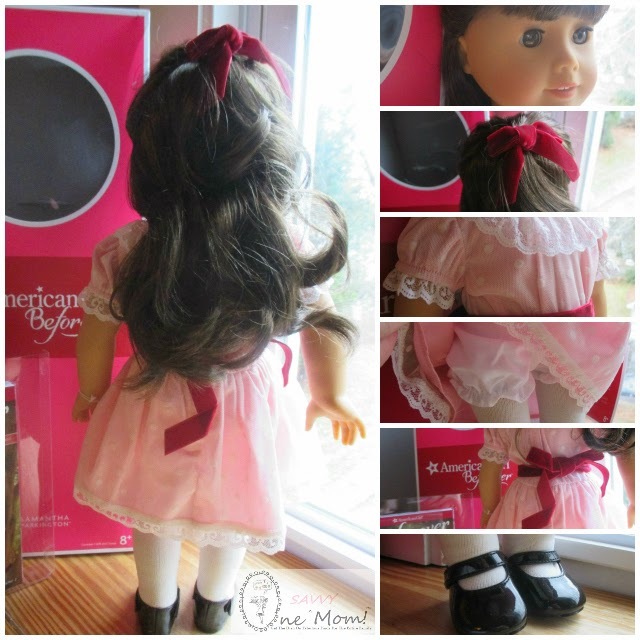 The concept of American Girl Beforever introduces the story-line of each American Girl Historic character from the perspective or in the "voice" of a modern girl. Thus helping to keep the historically accurate story-line's engaging and relevant for girls today. The covers and illustrations of the American Girl historical line have been re-imagined / updated with the Beforever makeover. What does that mean you ask? In addition to the reintroduction of the Samantha Parkington Doll, it means a ton of fun new outfits and accessories [along with some old favorites] and updates to the books/story-line's of each historical character. We are ecstatic to see the reintroduction of the Samantha Parkington doll and accessories! Check out our hands-on review/unboxing in the video below. 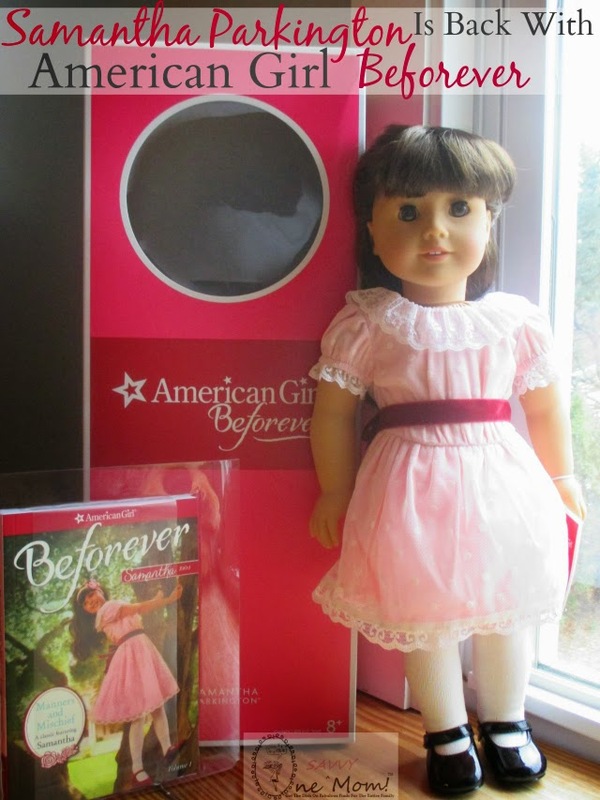 Want to bring a Samantha Parkington 18" American Girl BeForever Doll & Book home this Holiday Season? We are giving one away to (1) One Savvy Mom reader! Click HERE to enter. ** A media sample was received. All opinions expressed are our own.